Uncertain about their chances of finding a qualified local hormone therapy doctor or clinic, one of the first questions that seems to be on the minds of most men who have Low T symptoms is where can I get testosterone replacement therapy prescribed for me? And they are to be congratulated for taking the responsibility of self-care to heart, because living with an untreated state of testosterone deficiency can eventually have a severe impact an adult’s continuing health and quality of life. Taking good care of your self is not selfish; it is essential. It is what adults who want to stay strong and focused on their lives, their families, their careers, and their long-term goals do. So when you have developed a treatable health problem like Low T, the wise and responsible thing to do is to find a medical provider who is specifically qualified to prescribe the best course of corrective medical treatment for you and get the problem taken care of. Anyone can try to hide from their health problems – but it’s facing them and taking the steps to resolve them that will ultimately provide people with their best chance at enjoying an enduring condition of health and lifestyle satisfaction. But finding the medical specialists you need for a specific problem is not always as easy as it sounds, right? Depending on where you live, or on how little free time you have left after tending to your other important obligations, it can sometimes seem like a daunting challenge when you ask yourself where can I get testosterone replacement therapy without disrupting the time I need to take care of all of the other responsibilities in my life? And Nexel Medical is happy to tell you that we have the answer to your question – because we have made the medical treatment for Low T that our doctors provide totally accessible, on a convenient local basis, to you and to every adult who lives in the US. We utilize a nationwide network of clinical labs to provide local testosterone deficiency testing; physicians who provide pre-diagnostic medical exams; and a licensed online pharmacy from which our patients can order their prescribed Low T medications for home (or office) delivery to them. It puts the restorative power of testosterone replacement therapy right into your hands, where it belongs, and allows you to take care of protecting your hormonal health more easily than you probably thought was possible. What Will the Cost Be of Self-Paying for My Low T Treatment? Not all adults who require it have medical insurance that will cover the cost of their Low T therapy; and the next question on the minds of those people, once they have found out where can I get testosterone replacement therapy, is usually how much will the cost be? For a variety of reasons, many patients pay for their own treatment; and since it is an ongoing form of therapy, it is completely understandable that they want to have an idea of what their investment in themselves will be over time. But until the extent of a patient’s testosterone deficiency is determined, it isn’t possible to provide him or her with an exact cost – the way that treatments are prescribed is directly based on an individual patient’s personal requirements. However, it is fair to generalize Low T therapy as an affordable form of medical care because it typically costs far less to use than many of the prescription medications that Americans use. Furthermore, there are some forms of treatment that are lower in cost than others; the use of testosterone injections to supplement abnormally low male hormone levels costs significantly less than using the transdermal, topically applied gel and cream medications. The costs of things like blood tests, physical exams and even the prescribed medications can vary among TRT (testosterone replacement therapy) providers, which makes it difficult to provide an average cost figure to any adult in advance. However, to find out what your treatment costs would be at Nexel Medical, just contact us and speak to one of our clinical advisors who will ask you a few pertinent questions and be able to provide you with more detailed cost information based on your answers. Once your Nexel Medical doctor has prescribed a specific treatment program for you, you will be provided with its exact cost. Does Everyone Get Side Effects from Testosterone Therapy Use? Does the answer you receive to where can I get testosterone replacement therapy have any bearing on whether or not you are likely to experience any side effects from your treatment? Actually, it can. If you choose a TRT provider who lacks experience in the optimal administration of male hormone replacement therapy, your treatment experience could be a less than ideal one as a result. Prescribing the optimal dosage is how experienced TRT doctors ensure that the treatment experience of each of their patients produces the desired results, safely, effectively and free from unwanted side effects. Experienced hormone therapy doctors know how to make dosage adjustments whenever they are indicated, and they know what those indications are. The people who are most likely to suffer from unpleasant side effects as a result of using testosterone therapy medications are those who have inexperienced providers; those who do not follow their treatment regimen properly; and those who are illegally purchasing and using medications to increase their testosterone levels. So not everyone who is using treatment for Low T experiences side effects; actually, the incidence of having these effects among legitimate TRT patients is statistically quite low. 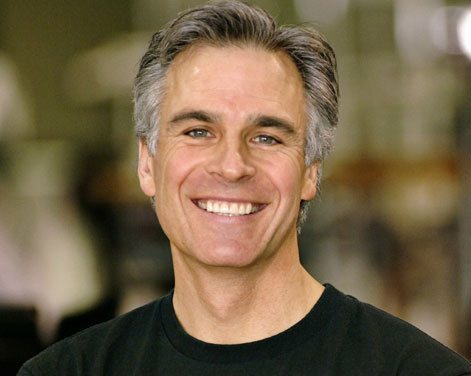 The key factor is in making sure that the provider you choose after asking where can I get testosterone replacement therapy is an experienced, credentialed and knowledgeable one – and when you choose Nexel Medical, that is exactly the type of provider who will be prescribing and supervising your treatment. However, even the most experienced TRT doctor cannot guarantee that any patient will have absolutely no side effects; that is why warnings are illegally required to accompany all of the controlled drugs that doctors prescribe for their patients. But fortunately, the most commonly reported effects from testosterone therapy use tend to be minor and temporary ones that an experienced provider knows how to resolve quickly. These would include swelling due to fluid retention; headaches; minor joint pain; and skin irritations at the injection or transdermal site that a patient has been using. How Can I Find an Experienced TRT Doctor or Clinic in My Area? Nexel Medical has now made it possible for every adult in the US to have access to an experienced TRT medical provider in their area; so essentially, the most current answer to where can I get testosterone replacement therapy from experienced providers is to start online. Other than referrals from patients of ours who are happy to recommend us, virtually all of our new patients have found us by going online to find doctors or clinics in their area that prescribe Low T treatment for adults. Even if this is your first experience with using an online medical provider, it probably won’t be your last. The digitalization of our modern world has triggered innumerable changes in the way that we now do things; and being able to access the medical care that you require online is just one of those changes. It might seem odd at first, but once you have had a chance to consider the many advantages that this change provides to people it makes perfect sense. 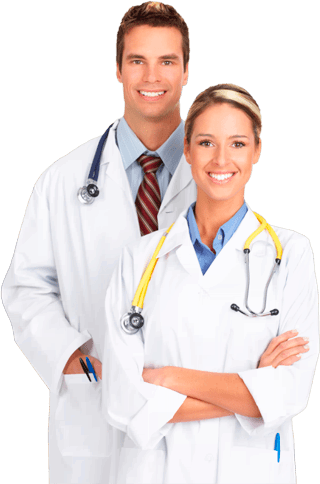 Now that we are all digitally connected, why shouldn’t you welcome the opportunity to utilize the fully-licensed and highly respected medical professionals you need, such as those at Nexel Medical, that are immediately available to you just by going online to find them? 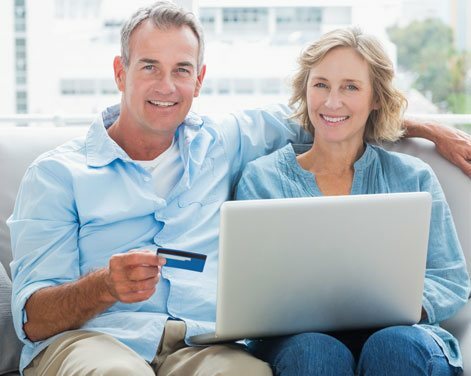 Most adults are finding that it it faster, more convenient and much more efficient to use an online TRT provider like Nexel Medical than to have to take the time to travel to see a hormone replacement therapy specialist, or wait for weeks to get an appointment with one. Instead, you can quickly and easily connect to our nationwide coverage by either calling or emailing us and get the local medical testing and treatment that you need underway immediately. It is definitely today’s answer to where can I get testosterone replacement therapy and we believe that once you have tried it, you’ll truly appreciate the many advantages of it. If you have any lingering questions about using an online medical provider, please allow us to answer those for you. Our clinical advisors and ready, willing and able to explain everything you need to know about choosing Nexel Medical to be your experienced TRT provider.